Sunliner’s factory-backed dealership network, as listed below, can assist you with all your enquiries from pricing, general specifications and travel tips to ensure your purchase decision will cater for all of your travelling needs. 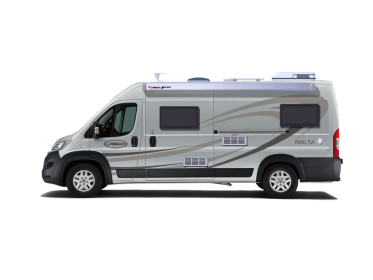 Sunliner has chosen to use a dealership network to sell its motorhomes. This has been done, as Sunliner believe that this method delivers the best possible, localised and personalised experience for Sunliner customers. Our dealers are, as a rule, are independently owned and operated businesses. When purchasing a Sunliner motorhome and during the time as a Sunliner owner the selling dealer is the primary contact. Sunliner encourages its customers to purchase from their local dealership. A local purchase allows customers to establish a relationship with a dealer close to home and further allows a convenient location for service & after sales support. Sunliner works closely with its dealership network to ensure that the high expectations that it insists upon for its customers are being meet through a detailed Sunliner policy and procedure system. Be prompt, informed and courteous in responding to all Sunliner product enquiries. Be knowledgeable about the Sunliner range of products. Provide accurate and complete contract documentation during purchase. Be proactive in communicating with customers regularly during the period between vehicle order and delivery. Provide a detailed hand-over of the vehicle, taking the time to answer all questions. Be available to answer operational questions during the first period of ownership. Be proactive in contacting new Sunliner owners within the first week of ownership to ensure the vehicle is meeting the owner’s expectations. Contact new Sunliner motorhome owners after three months of ownership to assist in organising the first motorhome service. Remain in regular contact with the new motorhome owner over the course of their motorhome ownership. 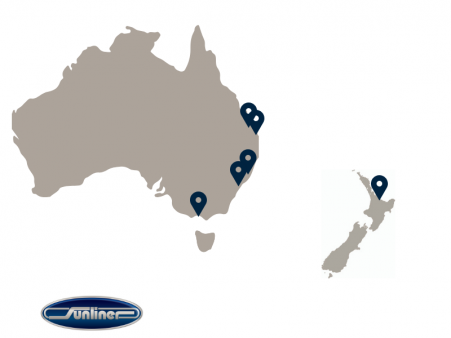 We have a network of Sunliner dealers around Australia and New Zealand. They are fully trained in all our products and ready and waiting to show through the Sunliner range. Contact a Sunliner dealer today to start your journey. Please note Sunliner does not sell direct to the public from its factory.